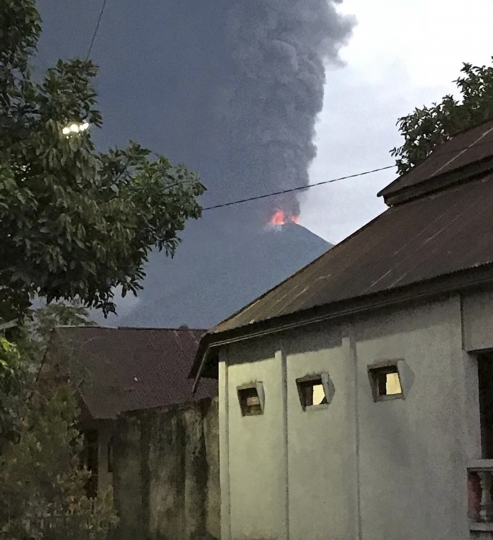 JAKARTA, Indonesia — A volcano erupted Wednesday on the same central Indonesian island struck last week by a powerful earthquake and tsunami, but no evacuations were ordered. A government volcanologist said it's possible the eruption was accelerated by the magnitude 7.5 earthquake that struck on Friday. "It could be that this earthquake triggered the eruption, but we have seen an increase in volcanic activity since July and this began surging on Monday. Yet we can't say there a direct link, as the mountain is quite far away," Kasbani, the head of Indonesia's Volcanology and Geology Disaster Mitigation Agency, said on local television. Soputan's eruption status was raised from an alert to standby 4 kilometers (2.5 miles) from the summit and up to 6.5 kilometers to the west-southwest. National disaster agency spokesman Sutopo Purwo Nugroho said at a news conference in Jakarta that no residential areas are within the 4-kilometer radius. Danny Hillman Natawidjaja, a geologist with Indonesia's Institute of Science, echoed the views, saying there was not enough data to make a link. "In principle, the seismic waves from the earthquake could increase pressure in the volcano's magma chamber and could cause an eruption. We don't know for sure," he said. He cited the example of the eruption of Mount Talang volcano in Indonesia's Sumatra province in April 2005, which geologists have said was connected to the devastating December 2004 Indian Ocean earthquake and tsunami. 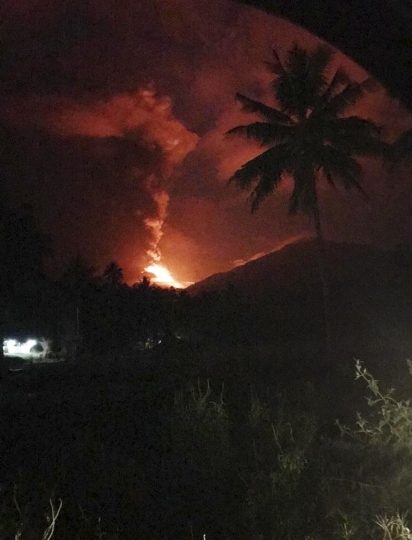 Ismail said the Soputan volcano eruption isn't surprising as Indonesia sits on the seismically active Pacific "Ring of Fire," and Soputan is one of the most active volcanoes on the island. 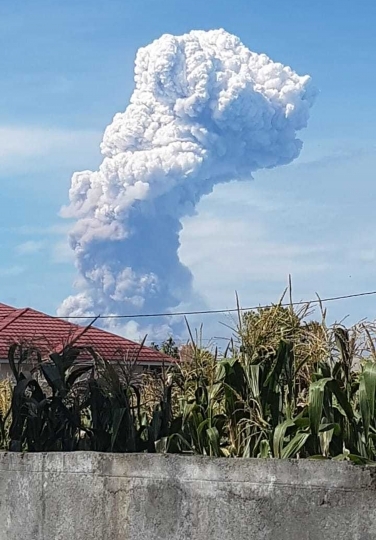 The two areas are about 940 kilometers (585 miles) apart, and Nugroho said the volcanic ash was blowing in a different direction from Palu, the largest city in the quake disaster zone. He said it hasn't disrupted plane services or affected any evacuations from the disaster areas.